Of course I had to do it - just like I did with He Touched Me and Elvis Sings The Wonderful World Of Christmas - that is, create my own "FTD light version" of Promised Land. This I did today by collecting all the outtakes that have been released officially so far. The difference this time was that I had access to the real tracklist that's already been announced for the "full version" of Promised Land a couple of days ago. So I followed that one as closely as possible to see how many unreleased outtakes we can expect from this eagerly awaited FTD album. Comparing my "light version" with the real one, it's obvious that we're in for a treat when it comes to unreleased material. Counting conservatively (one complete take/track), I make it 19 complete unreleased outtakes, in addition to another 16 incomplete outtakes as well as two unreleased rehearsals and three undubbed masters. The only question mark I have so far is what I've read on different forums concerning take 1 of "Promised Land" which isn't included (although the tracklist is said to be still under development). Apparently this take contains some rough language, so maybe that's the reason for its absence. After all, this has happened before, like on From Sunset To Las Vegas, where the first version of "It's Midnight" was omitted, probably because of Elvis cussing. On the other hand, other FTD albums do have Elvis using "bad" language. Just listen to the "Ode To A Robin" poem after the last track on Made In Memphis. Still, it's a minor point. 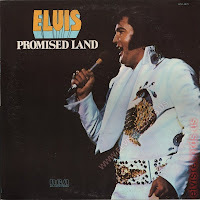 I've waited a long time for Promised Land getting the FTD classic album treatment, and judging by the tracklist I have to say it was well worth waiting for. The “FTD light version” of Promised Land was done by using all of the alternate takes that have been officially released so far. They can be found on Platinum: A Life In Music, Today, Tomorrow And Forever, Rhythm And Country: Essential Elvis Volume 5 and Made In Memphis.